A cape has been on my mental wish list for quite some time. But I had yet to find a style that I really loved and that I felt was both versatile & practical…until I came across this one, which met all of my requirements and more. Because of the trench-like details and the neutral camel color, it’s the perfect blend of classic & modern – I also love the detachable belt, which helps give a defined silhouette to what is typically a more voluminous piece. that cape is FABULOUS! and i love those fun flats!!! hope you had the best xmas ever! You look great in this outfit! The tan cape and black top are very slimming! The gold loafers remind me of a look I've seen on Atlantic-Pacific. Very chic. Happy holidays! Did you purchase the cape from sheinside or was it given to you? I'm wondering because I love a lot of what that site offers but have read only negative reviews. Would like to know your thoughts/experience with that site. Very beautiful satchel and cape! As stated at the bottom of my post, the cape was "compliments of" Sheinside. I have been working with them for a few months now and have been pleased with the quality of all the items I've received. Though it does take a while to get your items (because they are being shipped internationally), I have never had a problem otherwise. LOVE this cape!! And your shoes are too cute with this outfit. I want to go shopping now!! Hi, the cape looks lovely on you! 🙂 I'm quite petite, and was wondering what size you wear so I can order the appropriate size. Hi, I was wondering what size you're wearing since I'm quite petite. I ordered the small and I'm 5'9 – hope that helps! Love the cape – SO chic! That cape is absolutely awesome, and I love your loafers!! Such a great look. Hope you had a good holiday, lady! let's talk about those shoes! That cape is gorgeous it photographs beautifully! I hope you had a wonderful holiday! LOVE these ShoeDazzle loafers! And the cape is quite beautiful 🙂 Hope you had a Merry Christmas! this is SUCH a fun look, Kimberly! i love the flats and that cape is fabulous!! 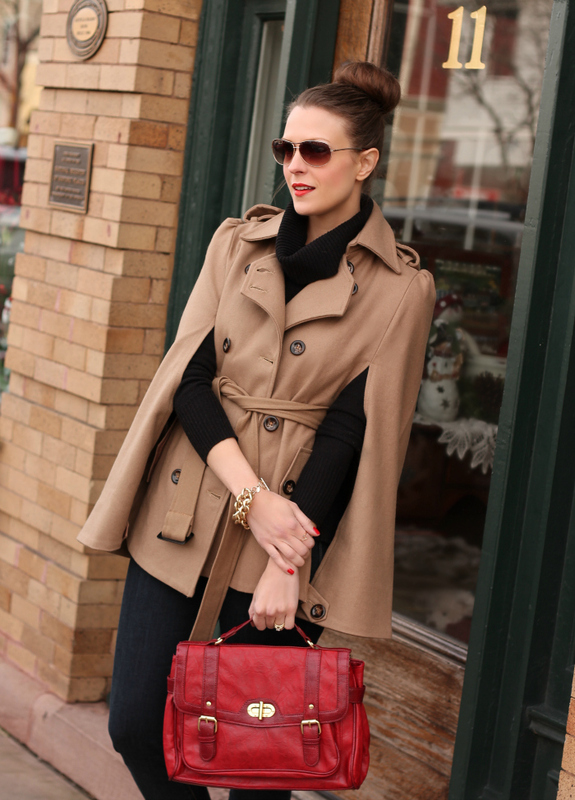 I do love black and camel – one of my favorite combos, and the cape is great! LOVE the causal chic look 🙂 you look amazing in the cape! Love your cape! Your right about the belt being so important to adding shape to an item like this. Hope that you get ots more wear out of it! That's probably the most incredible cape I've ever seen….except for my mom's vintage cape…with very similar styling. My father bought it for her in the late 1970's and unfortunately, she sold it. I love it and was heartbroken. totally agree that the cape is SO perfect! You look so classic and gorgeous! Happy holidays. That is the perfect cape! I love that it looks like a trench coat and the color is perfect! I also have that Express bracelet and it is one of my favorites! Hope you had a great Christmas! Gorgeous! I have a green cape coat that I can't wait to bust out! you look great in this cape. I love how you styled it so the main event is the cape. You look so classy in this cape paired with loafers. And seriously. How does your bun manage to look SO perfect?! I love the cape! I actually mostly love that you are wearing cuffed jeans and flats and a bun. You wear heels quite a lot, it's rather intimidating! Wow Kimberly, you look fabulous in this cape. I am totally in love with those adorable loafers, which is why I am bummed that they are sold out. I am on the waiting list, because I must have them 🙂 I hope you had a blessed Christmas. adorable cape, you look stunning in that color! This cape is BEAUTIFUL on you! 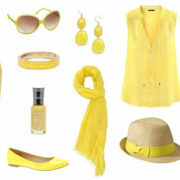 I love it, and love the whole outfit! 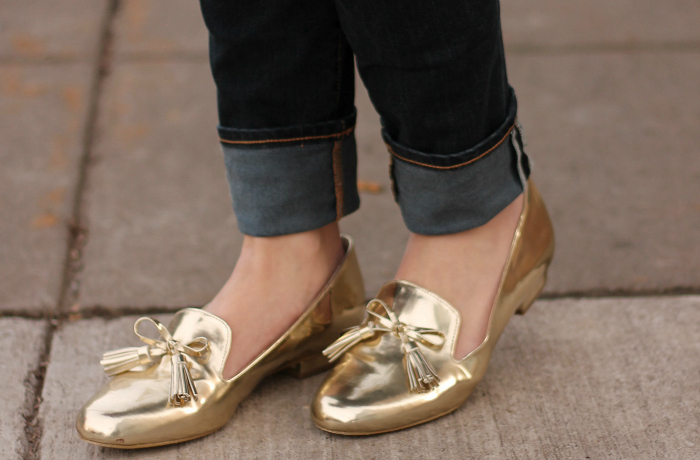 The gold metallic loafers are too cute! Hope you had a wonderful holiday, lady!